As this year comes to an end and another new year is about to begin, I have been reflecting a lot about how our family serves others. Sure we’ve done things like inviting students over for dinner, giving people rides, helping with a friend’s move, and so on… the opportunities that present themselves to you without much planning ahead. But, to be honest, over the past few months we have been so snowed under with various commitments, shift work, and several emotional roller coasters due to personal situations that we have not been serving as much as I would like. I think the main reason for this is that serving just hasn’t been part of our regular routine… more like a “do it when it comes up” or “do it when we remember” type of activity. I decided to change this by creating a new family goal, which is to offer at least one intentional act of kindness each week from now on. To keep ourselves on track and to make a record of our journey, I created a family scrapbook for the acts of kindness. You can get your own copy here. I dearly hope my children will grow up challenging themselves to find ways to be kind to others. Ater all, kindness not only makes others happy but it gives us purpose and joy ourselves. 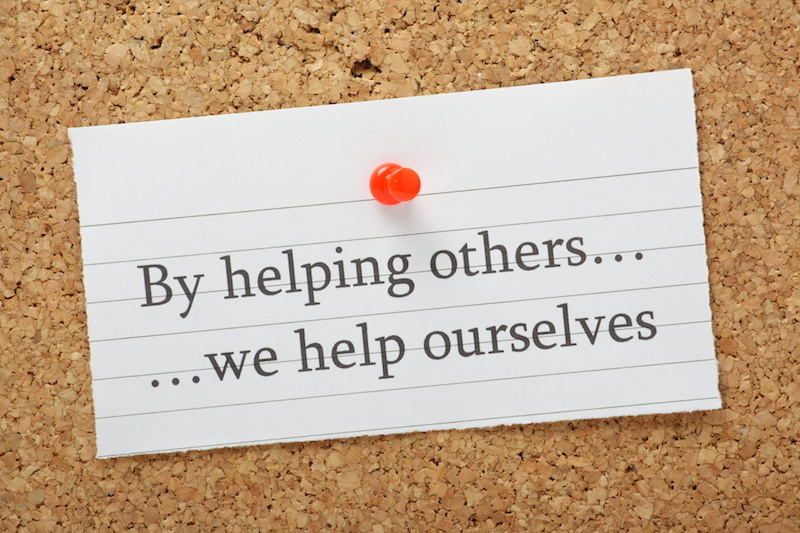 In this post I will share a story from one of our acts of kindness. One day my husband informed me that a fellow colleague’s baby was in the hospital. This family had been in and out of hospitals a lot over the past few months, and we wondered what we could do. We could not help with the illness, no matter how much we wanted to. And it was not practical to babysit the other children in the family, since we did not know them well enough. But we could take over a meal. At first I silently wondered if they would even want a meal from us. We did not know them that well. What if they had allergies? Or what if they felt self-conscious and did not want people to feel “sorry” for them? I realized these were my own fears, and not very realistic. Wouldn’t I appreciate a meal when I was amidst a challenge, even if it was from someone I did not know well? First we picked out a lasagna with garlic bread and salad. Then the boys picked out some strawberries and blueberries, and they really wanted to get the kids some jellybeans as well. Luckily we found tiny packages of jellybeans, and I slipped in a box of chocolates for the grown-ups as well. We chatted for a few minutes, the kids played, and then we left. To my two and five year old, this was a perfectly normal family outing. They had no self-consciousness wondering what the other family thought of them. They simply knew that taking food to someone who was in need was a kind thing to do. If we keep doing things like this, I can see how our boys will get into the habit of making kindness a habit for life. It will just be a regular thing to do on the weekend. On the car ride home I thought about if I were in that situation. I reflected on how it is hard is to get dinner on the table with healthy kids… what if one of my children was very ill and I was not only busy caring for him but was also sick with worry, and on top of that exhaustion. I was so thankful that my husband had brought up this opportunity to help someone else in their time of need, even if what we did was very small. I wondered how many opportunities I had missed – because I was “busy” – to help other friends or acquaintances in similar situations. I realized in that moment just how empathy starts. It starts with kindness. It starts with conversation. It starts with noticing others around you and taking the time to stop…. and help. I believe that children can learn a lot from stories, from activities, from playing with peers and spending time with family, but I never want to underestimate the power of stepping out of your comfort zone and doing something for someone else. Our children, though we may not always realize it, are learning to serve others (or not serve others) through watching our example. If we leave serving until they are older, we will lose out on so many opportunities during these precious formative years to make a difference together. 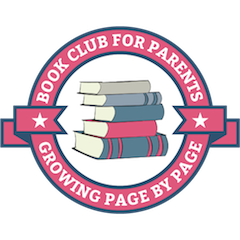 Children may be small, but they can participate and understand, and can do so much more than we often give them credit for. And if there is one thing I would like my kids to learn, it is to be kind. 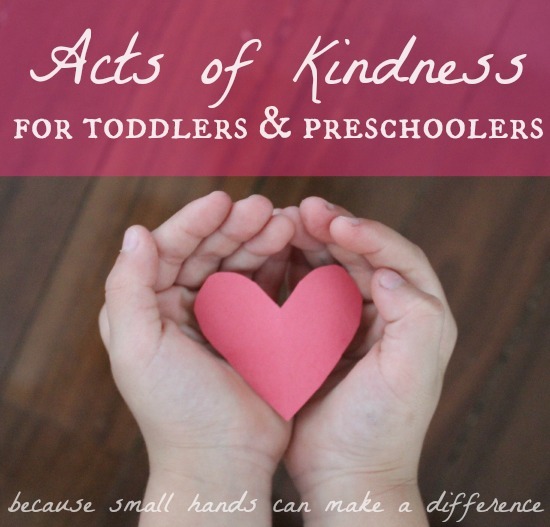 There are so many “acts of kindness” that are appropriate and fun to do with toddlers and preschoolers, and I am excited about doing more this year. I want to make more time for kindness and empower my kids with opportunities to practice it. Will you join me? 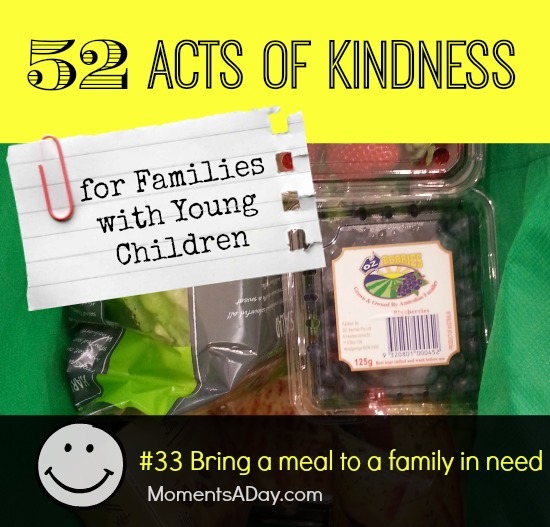 If you are interested in finding even more ideas, you may enjoy my list of 52 acts of kindness for young families. Totally agree that kids learn to “serve others (or not serve others)” by seeing what we do. I am amazed at how they pick up on even the littlest thing. And, we can’t be perfect people . . . but it does help to be deliberate in teaching them the right thing to do. Thanks for sharing your experience! Thanks for the inspiration behind this series, Chelsea and for showing us how easy it is to do simple acts of service that teach our children so much more than we can ever really understand. We are part of a military community and it is traditional to bring meals to a family whenever they have a family member in the hospital (or very ill at home) and when someone has a baby. I have been both on the receiving and giving end of this. I was on they giving end for a long time before the time came that I needed a meal. My husband was in the ICU and I asked for help from a spouse group. Just having those daily dinners delivered put my mind at peace that my children were eating a good meal without my mother having to worry about cooking while chasing after toddlers all day. I can’t tell you how meaningful it is to be on the receiving end. I feel like it’s something people did generations ago, a tradition that has died out and I would love to see come back more in all communities. I love your ideas and how your not only making your children into better people your also helping make the world a better place. God Bless You! I wish we had many more people like you in the world. There are so many children who don’t have great role models like you. What a lovely idea! I know I’d really appreciate this in that situation and I think it’s great that you involve your kids.